To date this drama has included lots of true-life intrigue. After a records request by Checks and Balances, commission chairman Bob Stump was found to have destroyed his cell phone, which may or may not have had incriminating text messages that may or may not have coordinated campaign donations totalling millions of dollars to two of the ACC members elected last year — Doug Little and Tom Forese. The situation has prompted the other two members of the commission — Bob Burns and Susan Bitter Smith — to make a public call for all utilities and interest groups to decide voluntarily not to contribute to future ACC candidate elections. 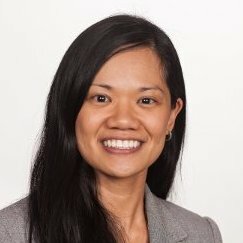 Bob Stump’s Policy Advisor Amanda Ho has resigned from the Arizona Corporation Commission and is going to work for Arizona Public Service (APS). Wonder how that came about? We thought she didn’t know anyone over there. On March 11, 2015, we sent our first records request to Commissioner Stump, and asked to see “public records that relate to communications by yourself [and] Policy Advisor Amanda Ho… about solar energy or net metering in Arizona with any representatives of Arizona Public Service Company or Pinnacle West Capital Corporation.” Our request covered the 17 months of two rate cases. But Ms. Ho had no relevant emails with APS. This was during the time period when, under her boss the chairman’s leadership, Arizona became the first state to establish a monthly charge for APS rooftop solar customers. She had no text messages with APS either. Although we know she and her boss, Bob Stump, exchanged 609 texts during the 17 month period. And as far her calendar was concerned, Ms. Ho – or someone – had a field day with a black marking pen. When we counted up the number of her meetings that were illegally redacted or hidden from the public, out of a total of 515 meetings, 166 were blacked out – 32%. On August 5, we sent a letter to the Commission and pointed out that under Arizona Public Records Law § 39-121.01(D)(2), you cannot simply black out meetings but instead must provide an index of records or categories of records that have been withheld from your calendar and the reasons the records or categories of records have been withheld. Who spends a third of their time at work on personal business? Will she be allowed to do that at APS? Now comes something else uncorked by the busy folks at Checks & Balances:Commission Chairwoman Susan Bitter Smith has been moonlighting at her old job ever since her 2012 election. Make that “jobs.” Bitter Smith has remained executive director of a cable-industry trade group. And she has retained interest in the public-relations firm that at times has lobbied the Corporation Commission on behalf of certain clients. Bitter Smith’s response? The complaints are coming from “East Coast liberal solar groups,” aka the Checks & Balances Project of Washington, D.C.
Let us cut to the chase here. Bitter Smith was elected to a full-time job that pays her $80,000 annually, plus expenses, including a travel budget. That salary may be less than half what she gets from the cable-industry trade group, but no one pulled her by the ear to the Secretary of State’s office, forcing her to sign up for this lesser-paying gig as corporation commissioner. A group called the Checks and Balances Project is inquiring into Arizona Corporation Commissioner Bob Stump’s text communications with campaigns and the utilities he regulates. As a result, Republicans have launched an attack ad trying to discredit the investigation through good ol’ fashioned shooting the messenger. The job of a political party is to provide leadership, not a criminal defense in the court of public opinion. As is painfully obvious in Graham’s letter, the GOP’s only interest is to create misdirection. New Orleans has many nicknames: The Crescent City, The Birthplace of Jazz, and The Big Easy. It’s also my hometown but Hurricane Katrina cast me out. In 2005, I was an investigator for the New Orleans district attorney’s office who was invested in making a great city even better. Along with hundreds of thousands of others, I had to flee New Orleans. This month is the 10-year anniversary of Katrina and its devastating punch, which we now know was made far worse by pollution-driven climate change. I juxtapose its devastation with the potential solutions as this month marks the release of President Obama’s signature Clean Power Plan, which would cut the very pollution that made Katrina so much worse. Two things are particularly galling to me as someone with first-hand experience in the effects of runaway carbon pollution. The first is that ExxonMobil, the Koch brothers and other fossil fuel interests that funded climate change denial in the 1990s are now underwriting climate change solutions denial both by fighting the Clean Power Plan and an effort in Florida to allow consumer access to low-cost rooftop solar power. When Americans across the country turned on their televisions on August 25th 10 years ago and saw thousands dead, hundreds of thousands displaced and a venerable American city underwater, it forced the tough questions about the world we were creating. Many scientists used Katrina as an opportunity to educate the public about how rising sea temperatures were intensifying storms. By the time Hurricane Sandy devastated the East Coast in 2012, all but the most stubborn observers were unwilling to say that climate change was playing a role in the growing frequency and severity of extreme weather events. The numbers are startling, and the evidence is overwhelming. According to the National Oceanic and Atmospheric Association (NOAA), the United States experienced 178 weather and climate disasters since 1980. The NOAA determined that nearly half of those events have occurred in the 10 years since Katrina and have accounted for almost half a trillion dollars in damage. But, for me, it’s not just a numbers game; it’s personal. 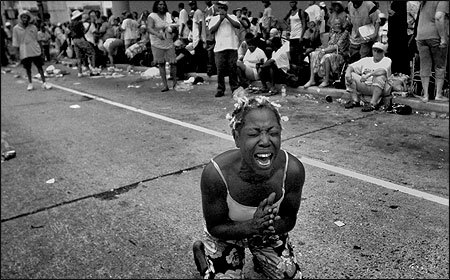 When Katrina hit, New Orleans was one of the few majority African-American cities in the country. So it was mostly African-American families who were killed, displaced, scattered and unable to return. And, New Orleans isn’t the only place where communities of color have borne the brunt of fossil fuel pollution. Because nearly 40% of those who live near a coal plant are poor African Americans and Latinos, it’s communities of color who are disproportionately affected by the negative economic and health consequences of fossil fuel pollution. The fact that fossil fuel pollution prematurely kills more than 10,000 people a year means that we’re experiencing the equivalent of five Katrinas every year. Both President Obama’s Clean Power Plan and the Floridians for Solar Choice ballot initiative not only would benefit African Americans and Latinos economically by incentivizing the adoption of job-creating clean energy technology leading to increased jobs, these initiatives would also cut the harmful health effects of fossil fuel pollution by reducing carbon pollution levels. But here’s the second thing that galls me: Rather than embrace these groundbreaking changes, some in our communities are taking money to fight them. I witnessed this strategy first hand when I attended the recent National Black Chamber of Commerce (NBCC) convention in Hollywood, Florida, earlier this month. Southeast Florida is Ground Zero for climate change, with Miami streets flooding on sunny days. But Koch sponsorship signage was everywhere as a parade of so-called experts repeated the same falsehoods about climate change science. Leading this charge was NBCC President Harry C. Alford, who has boasted of taking fossil fuel funding and attacking pollution-cutting policies and technologies our communities – and all of America – so badly need. When I attempted to interview Mr. Alford, he denied that fossil fuel pollution hurts communities of color and bristled at my questions about his funding. Unfortunately, Mr. Alford isn’t alone. Southern Christian Leadership Conference President Charles Steele and former Florida State Representative Joe Gibbons have both echoed the attacks of the fossil fuel lobby on climate change solutions. All three men have gone largely unchallenged, until now, about how they square taking money from the interests that hurt poor communities while asserting these players have our best interests in mind. As New Orleans continues to rebuild in Katrina’s wake and South Florida struggles with sea level rise, we can no longer give a pass to any individual or organization that aligns itself against the best interests of our communities. Those who choose to elevate misinformation over truth and profits over people must be held accountable. Otherwise, we all face a future where we’ll feel like strangers in our own land. 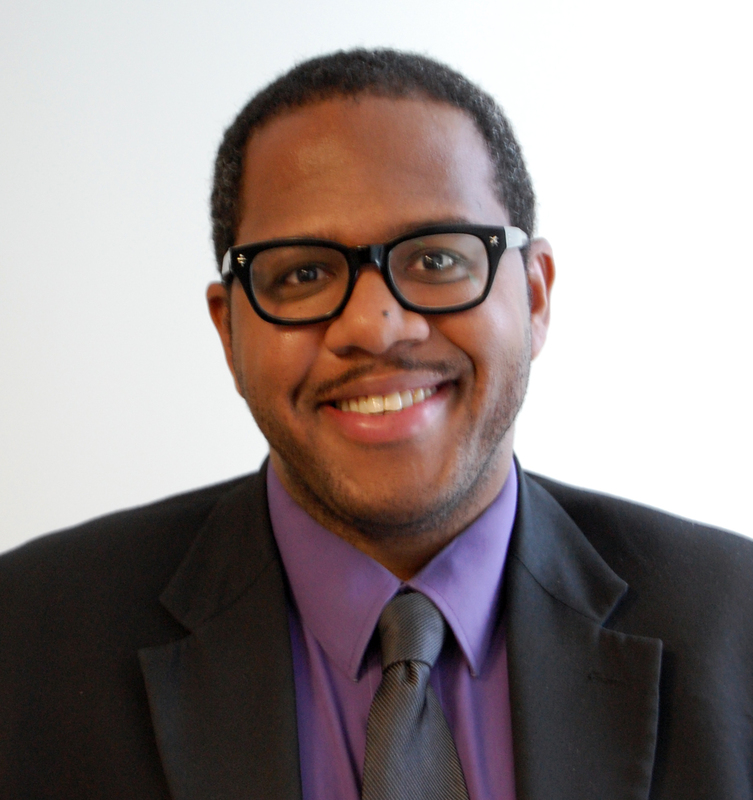 Evlondo Cooper, a former Orleans Parish criminal investigator, is a senior fellow with the Checks and Balances Project. I am a Senior Fellow with the Checks and Balances Project (http://checksandbalancesproject.org/), a government and industry watchdog blog. Pursuant to Nevada’s Public Records Act (Nevada Revised Statutes § 239.010 et. seq., “NPRA”), I am writing to request records of all communications between Commissioner David Noble and any representatives of NV Energy or the Edison Electric Institute (EEI), including but not limited to communications regarding solar energy or net metering in Nevada. February 17, 2012, through today. Text messages in which Commissioner Noble might have conducted public business with or otherwise communicated with any NV Energy and/or EEI representative. Please produce messages that pertain to public business, regardless of what device the message was sent or received on. Emails between Mr. Noble and any NV Energy and/or EEI representative that discuss or mention solar energy or net metering, irrespective of the device or email address Mr. Noble or the NV Energy and/or EEI representative were using. Phone logs for the above-referenced dates. All meetings calendars for the above-referenced dates, electronic or paper, irrespective of device. Any communications made by other electronic means (such as, without limitation, electronic chat and instant messaging), or other means of contemporaneous interactive communication, that Commissioner Noble might have used to conduct public business with a NV Energy and/or EEI representative. For the purposes of this request, please interpret “representative” broadly to include NV Energy and/or EEI employees, agents, consultants, lobbyists (paid or unpaid), attorneys, or anybody else acting on behalf of either NV Energy and/or EEI. The NPRA provides that all public books and public records of governmental entities must remain open to the public, unless “otherwise declared by law to be confidential.” NRS 239.010(1). The Legislature has declared that the purpose of the NPRA is to further the democratic ideal of an accountable government by ensuring that public records are broadly accessible. NRS 239.001(1). Thus, the provisions of the NPRA are designed to promote government transparency and accountability. Reno Newspapers, Inc. v. Gibbons, 127 Nev. Adv. Op. 79, 266 P.3d 623, 626 (2011). For electronic records, please provide the records in their original electronic form attached to an email or downloaded to an electronic medium. I can provide the electronic medium and arrange to pick up the records. For hard copy records, please attach copies to an email as a .PDF or I can arrange to pick up the hard copies. I am seeking information as it becomes available; please do not wait to fill the entire request, but send each part or contact me as it becomes available. If you intend to charge any fees for obtaining copies of these records, please contact me immediately (no later than five (5) days from today) if the cost will exceed $50. I can also arrange to have the records inspected in person. As you know, no fees can be charged for a request to inspect records (Nev. Rev. Stat. § 239.010 mandates that “all public books and public records of a government entity must be open at all times during office hours to inspection by any person…”). In any case, I am requesting a waiver of all fees because the disclosure of the requested information is in the public interest. This will contribute significantly to the public’s understanding of the Nevada Public Utilities Commission. The records may be written about and published to the Internet. If access to the records I am requesting will take longer than a reasonable amount of time, please contact me with information about when I might expect copies or be able to inspect the requested records. 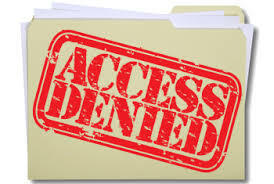 If you deny access to any of the records requested, please explain your basis for doing so in writing within five (5) days, citing the specific statutory provision or other legal authority you rely upon to deny access. NRS § 239.011(1)(d). Please err on the side of fully providing records. 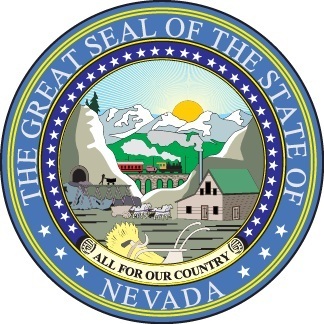 Nevada’s Public Records Act requires that its terms be construed liberally and mandates that any exception be construed narrowly. NRS § 239.001(2), (3). Please also redact or separate out the information you contend is confidential rather than withholding records in their entirety, as required by Nev. Rev. Stat. § 239.010(3). Again, please cite the statutory provision you rely upon to redact or withhold part of a record and keep in mind that you have the burden of showing that the record is confidential. NRS § 239.0113. Please provide the records or a response within five (5) business days pursuant to Nev. Rev. Stat. §239.0107. Again, please email your response to evlondo@checksandbalancesproject.org rather than U.S. Mail so I can review as quickly as possible. Thank you in advance for your cooperation with my request. Please contact me with any questions whatsoever. Bitter Smith, a Republican, is a registered lobbyist for Cox Communications, a status she’s held long before her 2012 election to the commission. Cox is regulated for cable by the Federal Communications Commission and local municipalities. But because it also offers telephone services, Cox is regulated by the corporation commission, which oversees the local telecommunications industry. That caught the eye of a Washington D.C. watchdog group called the Checks and Balances Project, which has been in a highly publicized struggle with the commission this year for access to Commissioner Bob Stump’s cell phone records. Checks and Balances raised conflict questions about Bitter Smith to KJZZ, which then conducted independent research and reporting that included a review of various public documents, tax records and interviews with Bitter Smith, former commissioners, a former attorney general, and various ethics and Constitutional law experts and attorneys.